I first became interested in anamorphic and cinematic photography a few years ago after stumbling across an article online on the PetaPixel blog written by the wedding photographer, Sam Hurd. The article, titled, 'Shooting with an Anamorphic Lens on an Ordinary DSLR' explains the history behind the cinematography technique as well as how to use an anamorphic lens on a modern day DSLR camera. In essence, using an anamorphic lens results in a photo with a wide panoramic aspect ratio whilst having the shallow depth of field of a telephoto lens. An anamorphic image of the Inca Trail leading to Peru in South America by Geraint Rowland. To find out more about anamorphic photography I found an excellent group on Flickr called Anamorphic Lens which is frequented by some experts in this field. Following some conversations online with the extremely talented, friendly and helpful Shuji Moriwaki I went on to buy one of his old lenses and give it a go myself. In addition to the wide aspect whilst retaining the shallow depth of field, anamorphic lenses also bend the incoming light in a beautiful way. Anamorphic lenses also produce very unique bokeh, finally this style of lens can produce a very cool cinematic style flare. Using an anamorphic lens on a DSLR is a bit of a fiddle, especially with regards to focus. You need to first focus your normal prime lens, attach the anamorphic lens with a mount and then focus the second lens to the same distance. Like everything, practice makes perfect and the technique gets easier with time. Despite the focus issues an anamorphic lens can produce some stunning and unique images. I found that they emphasis the scale in landscape photography and can add emotion with the particular way they bend the light. Here are some landscape photos I took using the anamorphic lens in and around Machu Picchu in Peru. Note the cinematic style borders at the top and the bottom of the image are added in post production. Click on the image below to scroll through the slide show. Anamorphic Photograph of the Salt Mines in Maras, Peru. Anamorphic Photography in Peru, Moray Terraces. A cinematic photo of Machu Picchu in South America. Inca Trail in Peru, Anamorphic photo. How to take Anamorphic Photography by Geraint Rowland. With portrait photography they provide an alternative approach, producing images with a unique look and style. You can make use of the shallow depth of field offered by the telephoto lens as well as playing with the unique lighting, flare and bokeh. Click on the image below to scroll through the view the slide show. Cinematic fashion photography in Peru by Geraint Rowland. Street Photography in Andahuaylas, Peru. Fashion Photography in Miraflores, Lima by Geraint Rowland. 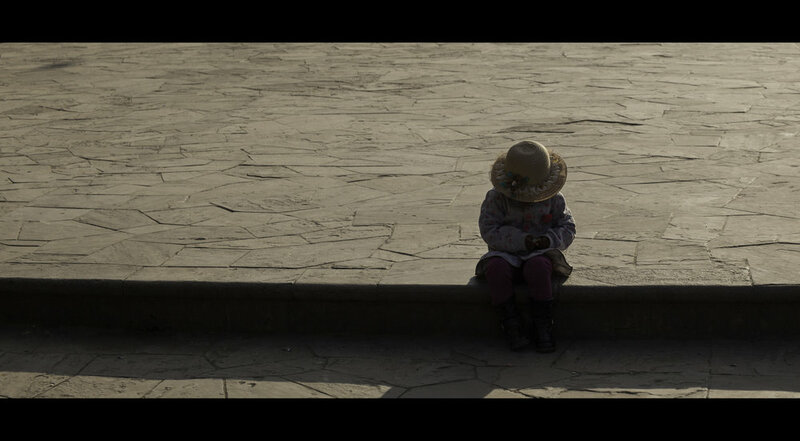 Anamorphic street photography in Peru. More examples of my anamorphic photography can be found on my website or on my Flickr account. If you are interested in purchasing any of my anamorphic prints or would like further information please send me an email at: geraintrowlandphotography@gmail.com.